Enhanced Spa-Like Experience It's been a terribly long day. The commute both to and from work was a nightmare. The boss ragged on you all day long. You've missed deadlines, missed calls, and missed lunch. You need a break. You need more than a break. 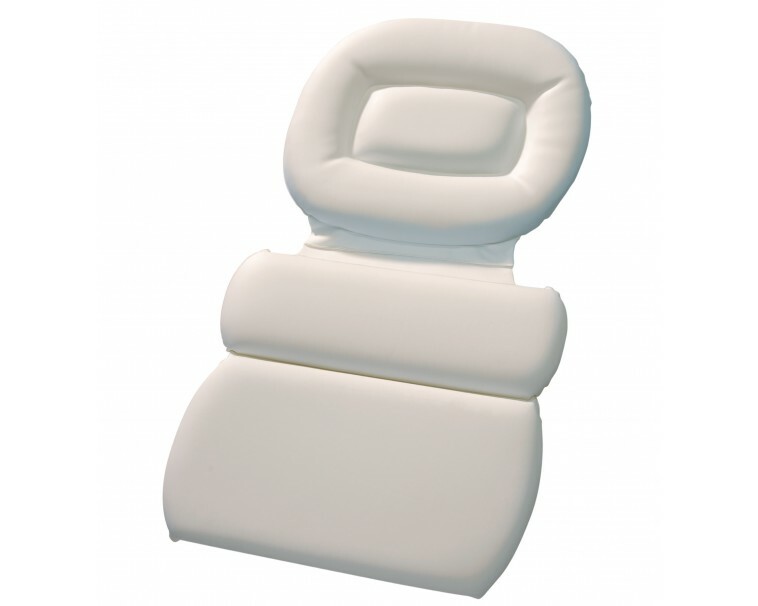 You need to go beyond break with Deluxe Comfort's 3-Panel Bathtub Pillow. Light a few candles, pour some bubbles and some essential oils in the water, turn on your favorite soothing melodies, and let the stress of the day melt away. If only you could feel this spa-like sensation every day. Now you can, with the 2-Panel Bathtub Pillow from Deluxe Comfort! 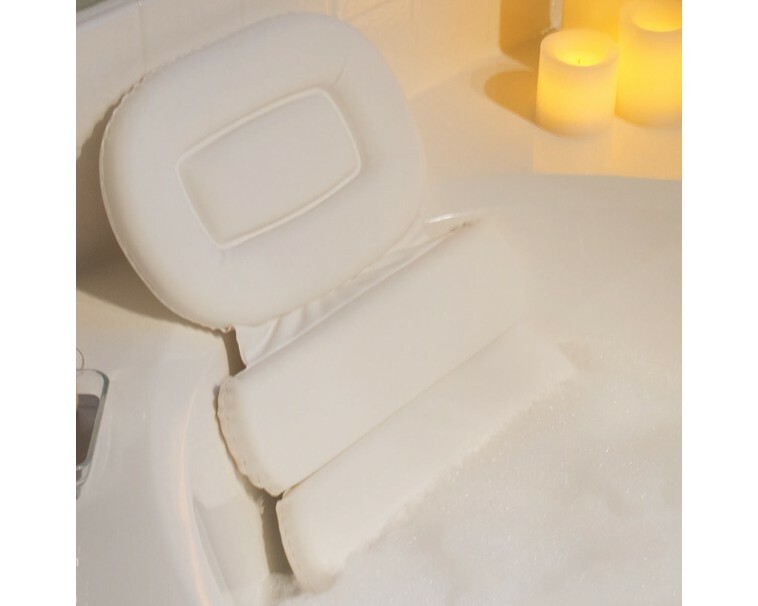 Unlike an inflatable bath pillow, our luxury spa bathtub pillow is made from a soft two-inch foam that hugs the curves of your neck and shoulders perfectly. 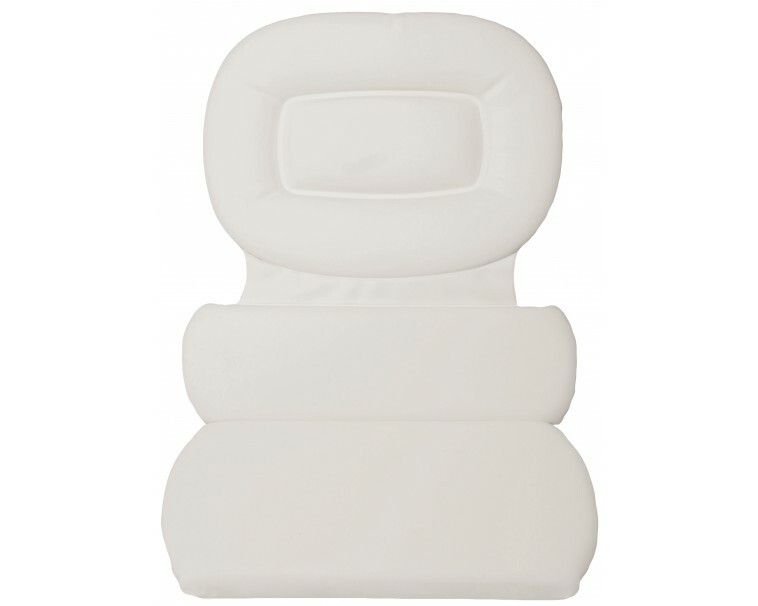 Our 3-panel pillow also cradles your head perfectly to aid in an enhanced state of relaxation. 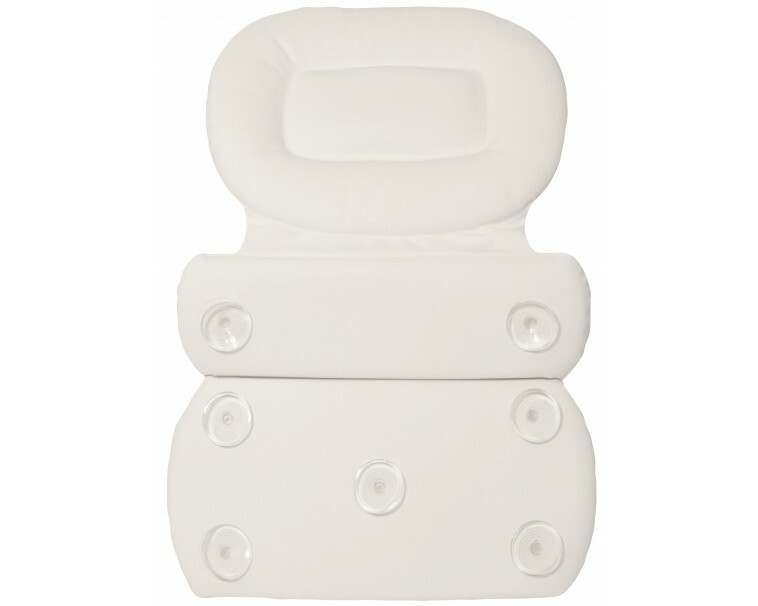 The flexible hinges between the three panels allow this pillow to mold to the curve of any bathtub. Several suction cups ensure that you will no longer have to worry about slipping pillows. To aid in better suction, wet the suction cups prior to sticking them to the bath tub. Designed with mildew-resistant foam and easy-to-clean PVC, with proper use and care, our bathtub pillow will become your go-to bath pillow for many years to come. Make Time for Tranquility - Get Your 3-Panel bathtub Pillow Before They Sell Out! !